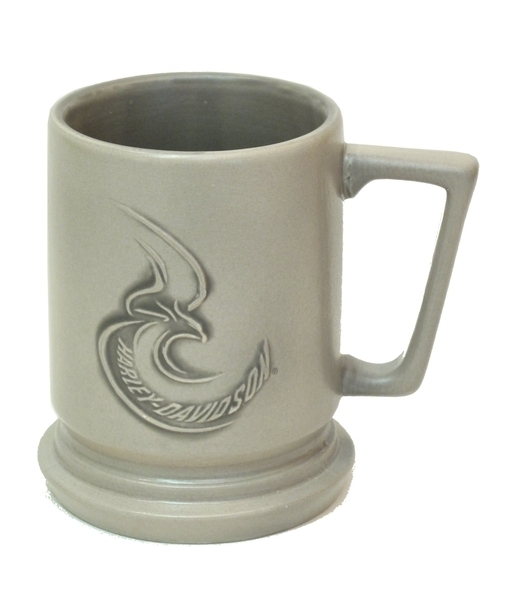 Harley Relief Flying Eagle Wings 11oz Mug is an officially licensed product. Heavy sturdy mug in shades of gray and made of ceramic. Measures 4.25"H x 4.5"W x 3.5"D.